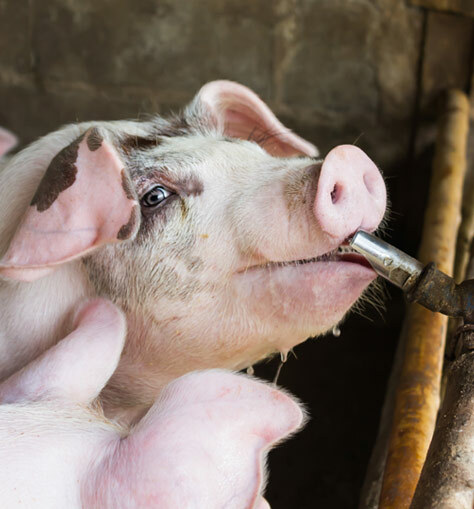 When raising animals such as swine, poultry, or cattle for pork, broilers, eggs, or dairy, the health of the herd is of the utmost importance. The overall health of your animals takes such variables into account as livability, mortality, feed conversion, and weight gain, and a spreading sickness can have huge negative impacts. As a result, costs can increase dramatically, whether via increased spending on vaccinations or higher quality feed blends, and profits can fall due to lower weight of the animal, higher mortality or in decreased egg or milk production, which in turn causes increased food prices for the consumer. SMT’s ultra-pure chlorine dioxide products can help improve herd or flock health and increase profits. Our EPA registered products can be used as an antimicrobial water treatment to reduce bacterial and other pathogenic populations in water. Chlorine dioxide can also oxidize iron, manganese, phenols, and other floating particles decreasing turbidity which removes tastes and odors from the water, encouraging higher consumption. Chlorine dioxide has also been shown to prohibit the growth of bacteria and algae in drinking water systems, which can prevent buildup of bioslimes that harbor pathogenic organisms. 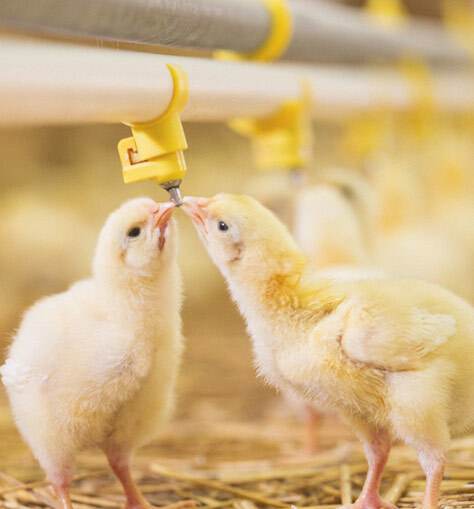 This series of tests was carried out to determine the impact that Selectrocide®would have on poultry drinking water quality and bird health in various water systems on turkey brood farms and turkey grow-out farms.